Iron oxides many colors have given cosmetic products their wide range of palette and color selection. According to the list of FDA-approved cosmetic pigments, iron oxide's are famous as Pigment Black 11, Pigment Brown 6, Pigment Brown 7 and Pigment Red 101. Being the primary inorganic makeup coloring ingredient, these oxides are both used in its natural and synthetic state. But to optimize the benefits and aesthetic glow that it brings, natural forms of these oxides are now more popularly used among mineral makeup, offering safe and unique color collections that can perfect any possible look that makeup can create. It even gives mineral makeup the ability to complete a flawless look while bringing in significant benefits to the skin. Hypoallergenic and FDA approved grade of these oxides is used in manufacturing mineral makeup, making them safe for use on sensitive skin types. Iron oxide is actually an oxidized iron. It is commonly known as rust or Hematite as well as ferric oxide, red iron oxide, synthetic maghemite, colcothar. In mineral form, it is known as wustite. Because of its natural coloring properties, it has long been used in ancient festivals as pigments or tattoo inks. These oxides are observed to be present among the Ilmenite mineral group, a subgroup of the Hematite minerals. It is originally mined as the main ore of iron. As the name implies, Ilmenite was discovered in Ilmen Lake of the Ural Mountains of Miask, Russia. It forms on igneous rocks, processed by means of magmatic segregation. It is actually the crystal that forms out of the volcanic magma. Ilmente also forms in metamorphic rocks that are formed due to weathering and erosion. Although these oxides can be produced synthetically, mineral makeup is using it in its natural form. As an ingredient, there are 16 other known types of iron oxide's. 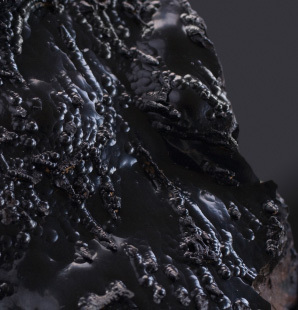 The list includes Wustite (FeO), Hematite (ferric oxide), colcothar, magnetite (ferrous ferric oxide), loadstone, Ferrihydrite, Goethite, Akaganeite, Lepidocrocite, Feroxyhyte, bernalite, schwertmannite, limonite, and iron stone (tiger iron). Other stones include heliotrope (bloodstone), feldspar, olivine, pyroxene, pyrrhotite. Pure iron comes from meteorites: chodrites, anchondrites, shergottites, nakhites and chassigny. Mineral makeup also favors the use of these oxides that are sourced from healing stones such as tigers-eye, hematite, marascite (iron sulfide), red jasper, ocean jasper, carnelian, epidote, peridot, green tourmaline, colored obsidians , amethyst, rhodonite, tangerine aura quartz crystal, tangerine quartz and champagne aura quartz, red aventurine. Alexandrite and chrysolite come from the gem mineral chrysoberyl which is an aluminate of beryllium; they were also found to be excellent sources of iron oxide. Another iron containing healing stone is serpentine and moss agate. All have crystal meanings. For a long time, iron formulations are used in manufacturing virtually all colored cosmetic and beauty products. The history of its cosmetic and aesthetic applications can be traced back to ancient centuries, used in various religious ceremonies of different world cultures. However, it is only by 1900 that iron was manufactured as an ingredient of cosmetic products. Foundations, eye shadow, powder mineral pigments, lipstick, mascara, lip gloss, SPF products, facial powder, blush and pencil and liquid eye liners are just few of the products that use iron oxides as their primary coloring ingredient. 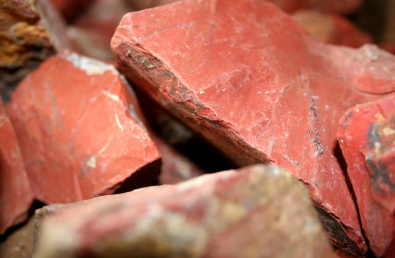 •	Red iron oxide, FeO3 – Ferric Oxide or Colcothar is famous for its red color. It is typically water and oil dispersible. •	Black iron oxide, Fe3O4 is known as ferric ferrous oxide or simply black. •	Shades of brown is achieved with the addition of Titanium Dioxide. The color achieved by iron oxide basically depends on the temperature, concentration, pH and the radius of the particle used in manufacturing them. The great thing about iron oxide is that they are usually stable under normal pH conditions and has excellent light stability. 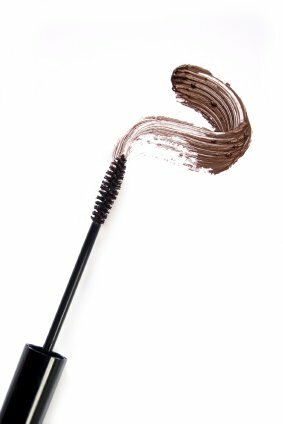 For safety, the iron oxide's that are used among cosmetic products are graded for safe use. While most makeup brands use synthetically produced mineral, some insist on using the natural oxides, altering some properties on which the iron part of the compound would cause harm to the skin, to achieve producing high-quality and hypoallergenic makeup such as mineral makeup. Mineral makeup use iron oxides primarily as coloring agents. By means of water processing, the natural salts of the compound are oxidized to remove the heavy metal compositions that usually causes skin irritations. As a result, iron oxides in mineral makeup produces unique palette of earthy colors, which are great in foundations and any other makeup products. All pictures are from iStock. My name is Sandra Carosi. My director's name is Jane Davis. You too can buy mineral makeup at wholesale prices for just $100.00 plus tax. YES! Send me your online link to join our M.ary K.ay Team. No. Just send me a mineral sample card. I need more information, please send me some. Sorry, this offer is only good in the US, US Virgin Islands, Guam and Puerto Rico, but you may visit http://www.marykay.com/company/aroundtheworld/default.aspx for more information. Welcome to The Essence of Mineral Makeup website!!! A site for makeup and mineral healing information. ©Copyright 2008-2017 Essence-of-mineral-makeup.com The stones featured are associated with the minerals but may not be their actual source in mineral makeup but are believed to harmonize ones life. There is no guarantee in healing.